Hillary Clinton may not be through with her presidential ambitions. Although she is 0-2, perhaps the third time is the charm. 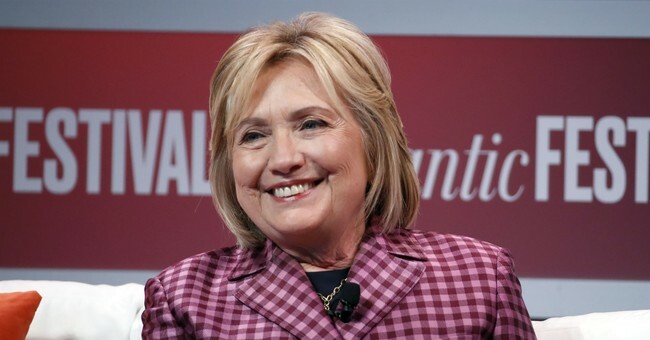 "It's curious why Hillary Clinton's name isn't in the mix - either conversationally or in formal polling - as a 2020 candidate," former Clinton aide Philippe Reines told Politico. "She's younger than Donald Trump by a year. She's younger than Joe Biden by four years. Is it that she's run before? This would be Bernie Sanders's second time, and Biden's third time. Is it lack of support? She had 65 million people vote for her." "It's somewhere between highly unlikely and zero," Reines offered. "But it's not zero." Yet, others are literally telling her to go away. "Dear God, Hillary Clinton. Please, Just Go," wrote Liz Mair in The Daily Beast on Thursday. Clinton, Mair complained, keeps popping up on the political scene with her two cents "like a Halloween ghoul who keeps rising from the grave to terrorize the American public." In other words, she's doing Democrats zero favors. Still, if she does run it will be music to President Trump's ears. He has repeatedly boasted about beating the Democrat and what an "awful" candidate she was. Trump is also hoping for an opponent in Sen. Elizabeth Warren (D-MA), whose platform would consist of turning America into Venezuela, he suggested. "I hope she's running for president because I think she'd be very easy," he told reporters. "I do not think she'd be difficult at all."